and should contact the Coordinator for further information. The Moon is the Earth’s only known natural satellite and occupies an elliptical orbit at a mean distance of 384,400 km (238,855 miles) from its parent planet. With a diameter of 3,476 km (2,160 miles) it is larger than the planet Pluto and over 70% the diameter of the planet Mercury. Because the Moon revolves on it axis exactly once during each orbit about the Earth, the same side of this large satellite always faces the Earth. 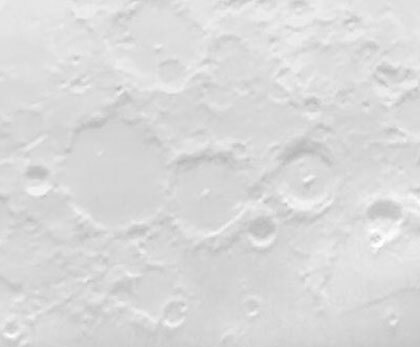 The inclination of the Moon’s orbit and other factors allow us to see approximately 59% of its total surface. It is this surface, larger than that of the United States and Australia combined, that is the object of study by the A.L.P.O. Lunar Topographical Studies Section. To the naked eye the appearance of the Moon exactly repeats itself every month as the terminator (the dividing line between lit and unlit regions) marches across the surface of the Moon. Because of the orbital mechanics involved, however, a telescopic view reveals that changes in the lighting, and the resultant shadows, are not exactly duplicated each month. This slight change in lighting can provide a surprisingly different view of the same feature each month for many years. This, combined with the almost infinite detail available to even modest backyard telescopes, can make the topographical study of the Moon a lifelong adventure. It is the mission of the Lunar Topographical Studies Section to observe, study, and record the many surface features of the Moon. These features include such broad categories as mountain chains and isolated peaks, impact rays and bright spots, lava flows and wrinkle ridges, domes, rilles and scarps, and craters of every conceivable size. The instrumentation used by Section participants varies from modest 60mm refractors to massive dobsonian mounted reflectors. Lunar observers utilize imaging equipment that ranges from traditional film cameras to the latest in digital and video systems. Filar micrometers, photoelectric photometers, and a host of other specialized tools are brought into play in the pursuit of topographic studies but such sophistication, useful as it is, is not a prerequisite. Many insightful and valuable observations are still being performed by those with telescopes of modest size who sketch what they see. Because of the broad nature of topographical observations, this Section also stands ready to assist other A.L.P.O. Lunar Sections in the pursuit of their research programs. Requests for corroborating observations from the Lunar Transient Phenomena Section and Selected Areas Program are always quickly researched through the Section’s computerized archives and assistance provided whenever possible.